For that past five years at The Spooky Empire, I have observed the teamwork between a mother and her son, Cheryl A. Thayer-Blackford and her son, Jarrad Walker. These two are cosplayers, and their costumes are eye catching and unique. Upon closer inspection, one realizes that Jarrad is in a motorized vehicle, for he did not have use of his legs. Over the summer and under consultation with medical doctors, Jarrad had his legs amputated to improve the quality of his life. 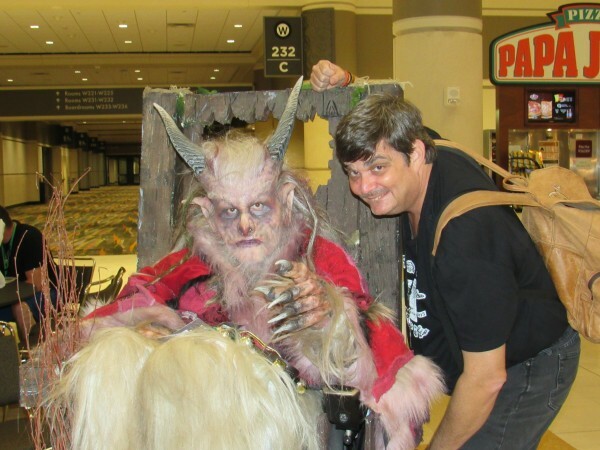 Yet, as early as April, Jarrad planned to attend The Spooky Empire Ultimate Horror Weekend as the Anti-Santa Claus – Krampus. 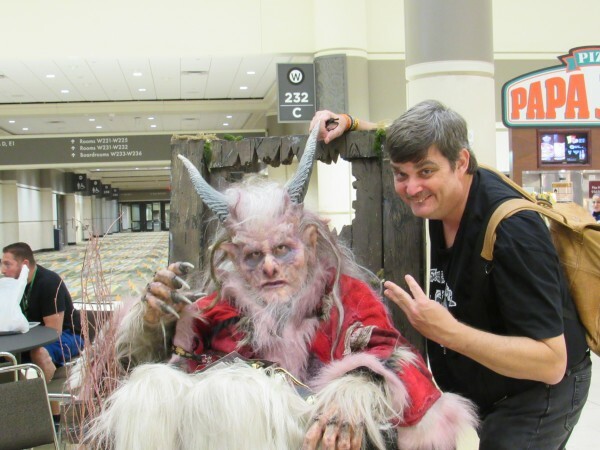 When Hurricane Matthew forced the closing of Spooky Empire in October, Jarrad was more than prepared for Spooky Empire’s Halloween for Christmas. 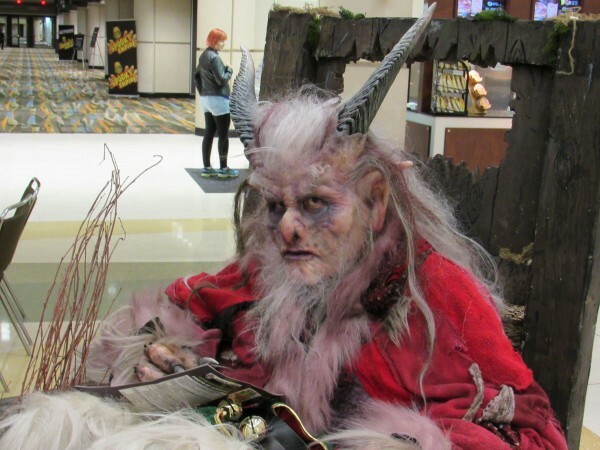 Cheryl and Jarrad’s perseverance paid off, for Krampus won The Spooky Empire Best Exhibition Costume Contest.